Fish passage biologist Brian Saluskin and maintenance technician Chuck Carl drop nets to catch invasive mackinaw trout in Cle Elum Lake. This is part of a Non-Accords project in the Columbia River Basin, supported by the Yakama Nation and the Pacific Coastal Salmon Recovery Fund/NOAA Fisheries. Invasive mackinaw trout are measured and have their heads cut off for aging. 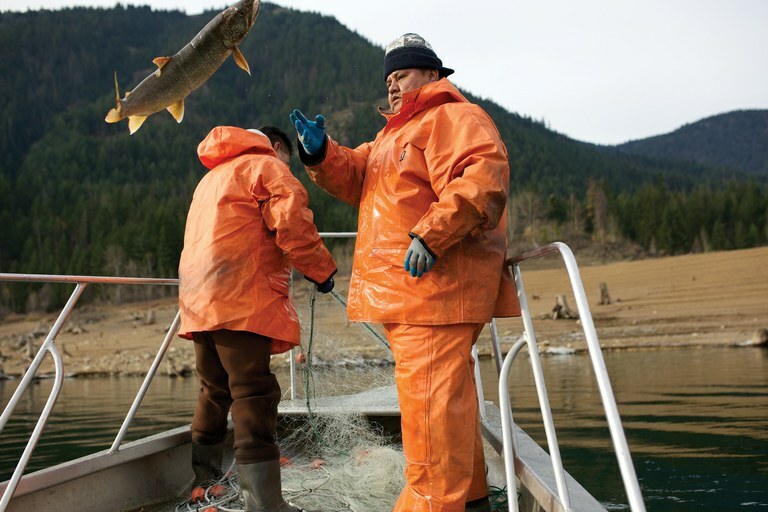 Then their carcasses are tossed back into the Cle Elum Lake for nutrient loading of the ecosystem as part of a Non-Accords project in the Columbia River Basin. Fish passage biologist Brian Saluskin checks nets used to catch and eradicate invasive mackinaw trout from Cle Elum Lake. 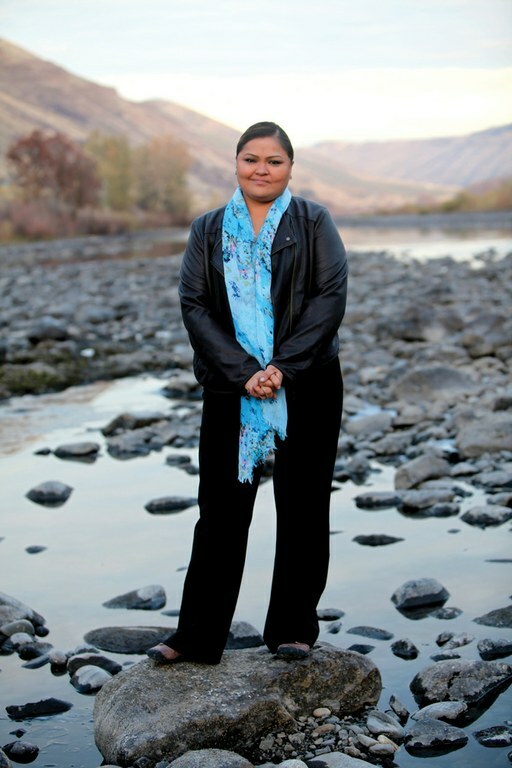 Kat Brigham, of the Umatilla Tribe, serves as secretary of the Columbia River Inter-Tribal Fish Commission. 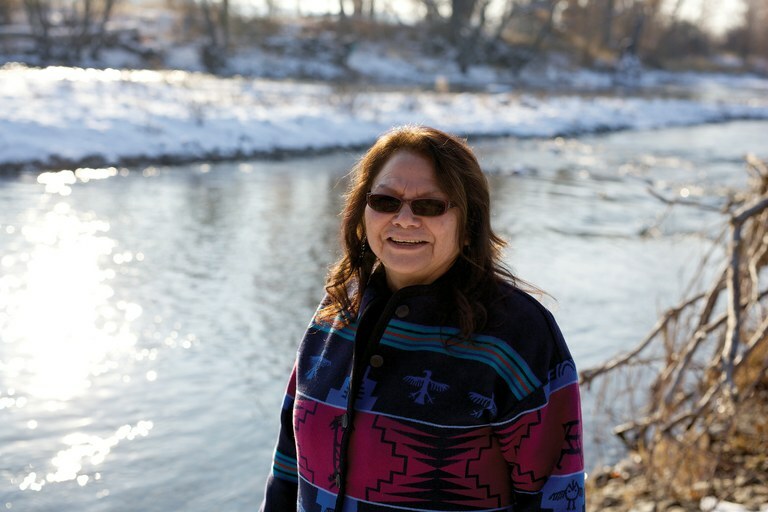 Rebecca Miles, executive director of the Nez Perce Tribe, didn’t sign on to the Columbia Basin Fish Accords because they failed to address what her tribe believes is the main obstacle to salmon recovery: dams. 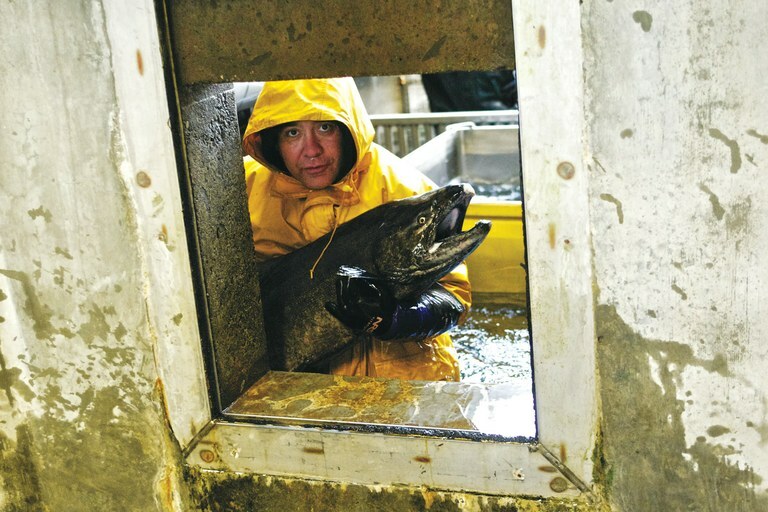 Brett Bisbee, a technician at the Nez Perce Tribal Hatchery near Lewiston, Idaho, passes an adult fall chinook to a holding trough before it spawns, part of the tribe’s effort to increase salmon populations in traditional fishing areas. 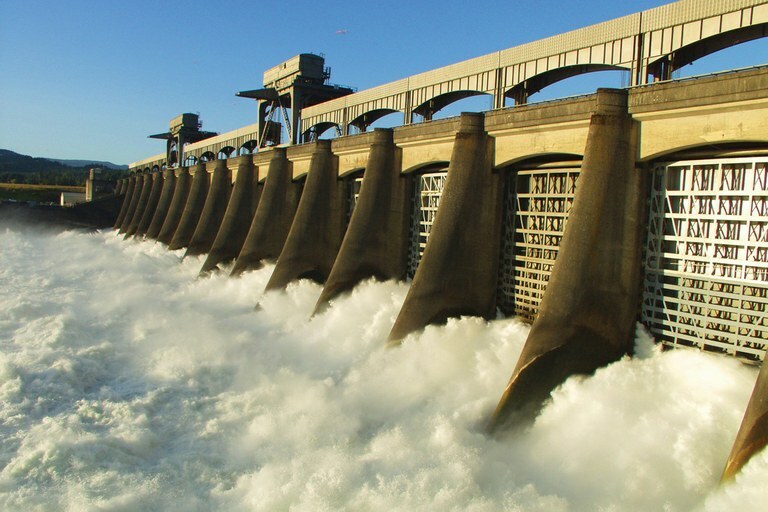 The Nez Perce Tribe hasn’t signed on to the Columbia Basin Fish Accords. 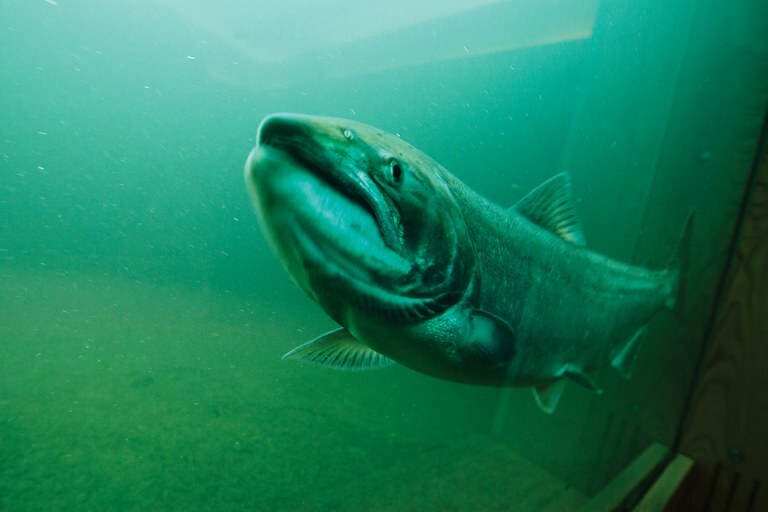 A salmon swims by the viewing window at the Bonneville Dam on the Columbia River. 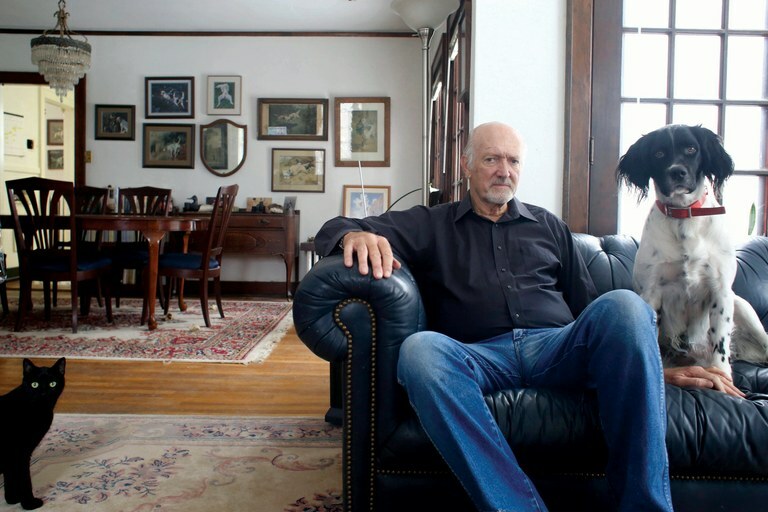 Ed Chaney runs the Northwest Resource Information Center from his home in Eagle, Idaho, with Bear, right, and Winston as company. Chaney has been a vocal opponent of the Columbia Basin Fish Accords; what the Bonneville Power Administration has done to the tribes “gives me heartburn,” he says. 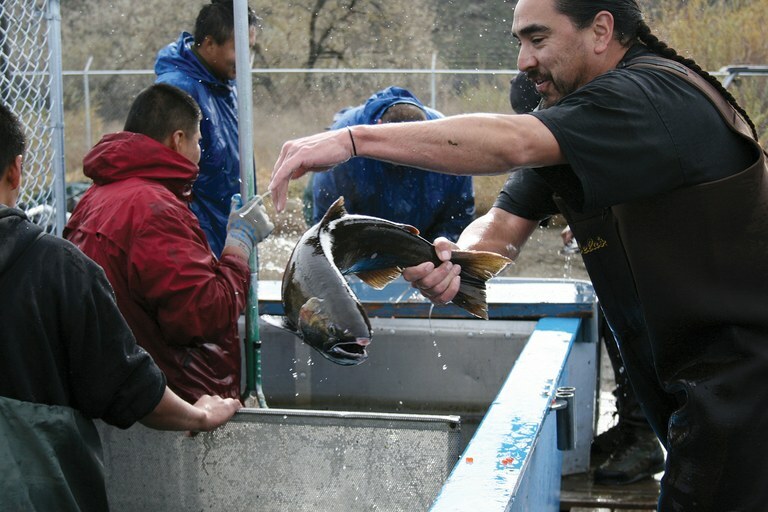 Michael Fiander, Yakama Tribal member, moves coho from the Prosser, Washington, hatchery, where he’s foreman, to an acclimation pond where they’ll live before swimming to the ocean. Water surges through the Bonneville Dam spillway on the Columbia River.